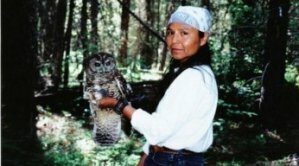 The season for the Wildlife Viewing Program will be 5 am–7 pm on Sundays May 15-June 30, and on Sundays and Wednesdays July 1-Sept 30. Please check this page for specific current information. Also note that water levels vary substantially over the year in these dynamic floodplains, and flooding affects access to various areas seasonally. The YN maintains the right to close the season or individual properties at any point in which potentially dangerous conditions occur. 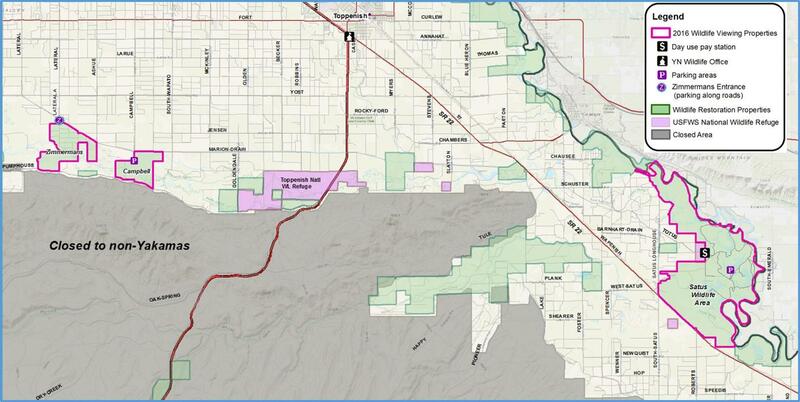 Please note that hunters are permitted to be harvesting doves in some areas at this time. 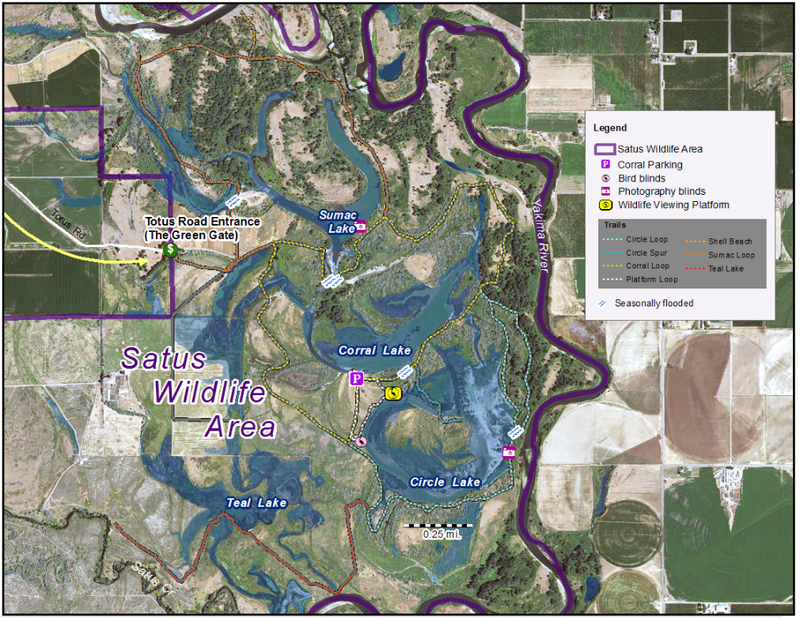 Satus Wildlife And Recreation Area (SWRA) – Roughly 5000 acres of cottonwood forests and adjacent floodplain wetlands and upland habitats. Access location at the end of Totus Rd near Highway 22 between Toppenish and Mabton. 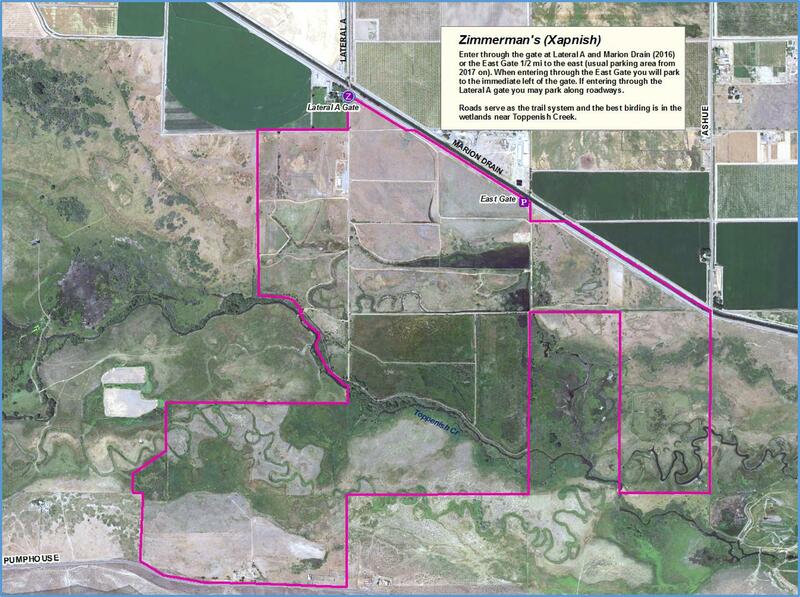 South Lateral A Property (Xupnish) – Approximately 500 acres of restored wetland and upland habitats. Located at the south end of Lateral A Rd across from Marion Drain. 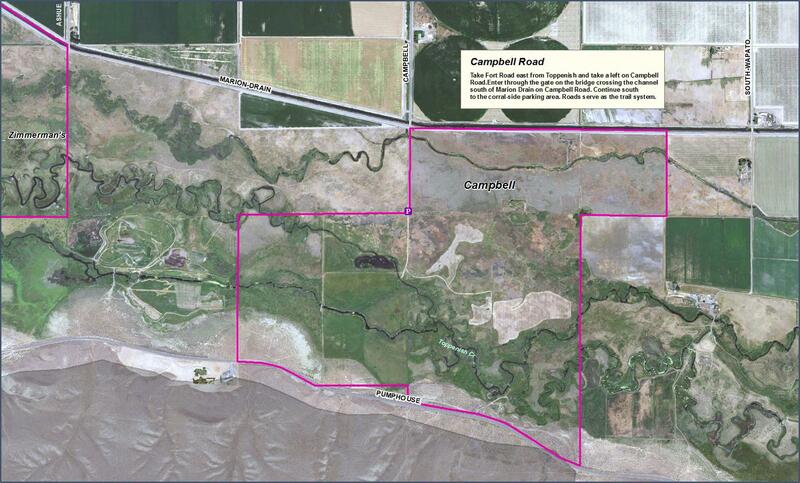 Campbell Rd Property (Old Mink Ranch) – Approximately 450 acres containing 3 restored channels of Toppenish Creek and adjacent floodplain habitats. Located at the south end of Campbell Rd.